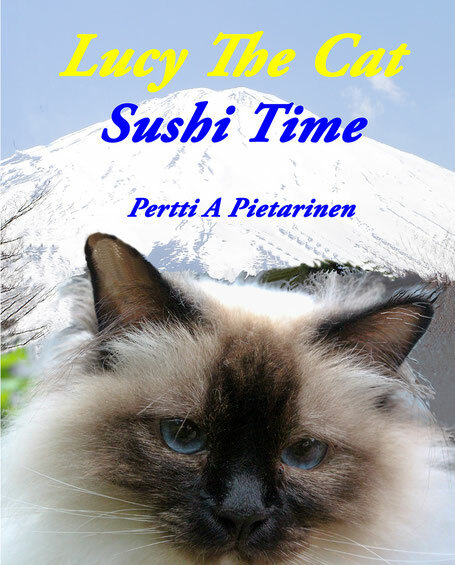 The adorable Sacred Birman, Lucy The Cat enjoys to tell stories about her life. In her sixth book Lucy The Cat tells about her favorite dishes. She loves to eat similar food as her human mom and dad. She likes beef and she knows that fish is healthy. When mom or dad comes from grocery shopping Lucy wants to check what is hiding in the shopping bag. Is there anything for her? Lucy loves to participate in fishing trips, too. Lucy has seen videos about Japanese life and sometimes she dreams about Japan. And because raw fish is her greatest delicacy she wants to eat sushi and sashimi like a real Japanese. Fresh tuna is her favorite delicacy she cannot resist. However, green tea and soy sauce are not for her. She prefers cream and water and ice cream would be the best dessert. After eating Lucy wants to help also with the dish washer.